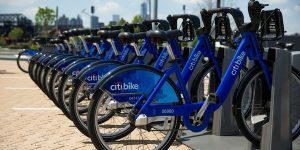 On Memorial Day, New York City opened its’ Citi Bike Program, allowing residents to use bicycles to help commute around town. More and more Manhattan residents continue to participate in this bike sharing program with nearly 1.5 million trips as of July 26th. With the increasing success of this program comes potential issues. In 2011, nearly 700 American deaths could be contributed to bicycle related accidents. According to NHTSA, there were 48,000 bicycle injuries associated with traffic crashes. Now imagine the impact the bike sharing program will have on bicycle related accidents in Manhattan. New York City is the largest city in the U.S. It is also one of the more difficult places to drive. Infusing masses of inexperienced bicycles into an already dangerous accident prone city is a recipe for more injuries and even deaths. We neither advocate nor admonish the Citi Bike Program. As with all decisions, there are pros and cons. As New York bicycle accident lawyers, Pulvers, Pulvers & Thompson anticipates an increase in accidents related to bicycles and believe residents should be aware of the potential safety issues that can arise with a mass bike sharing program. Individuals should make their own judgment and take the proper precautions before getting on a bicycle in NYC. For Manhattan residents that have been injured on their bicycle, please contact us at (212) 355-8000 for a free consultation. Our team of personal injury attorneys can advise you on how to proceed, negotiate with insurance companies and represent you in a lawsuit. Our fees are contingent and we only get paid when we win. Pulvers, Pulvers & Thompson can provide you with the advice specific to your situation and can help you negotiate a favorable settlement or proceed to trial when necessary.